Special Containment Procedures: SCP-XXXX is locked in 5 x 5 x 2 meter room located in Site 17. Access to the room is permitted for testing purposes with Level 4 permission. Description: SCP-XXXX is a bed, consisting of a wooden bed frame with a queen size mattress of unknown make covered with dark blue linens and a white comforter. Recovered with SCP-XXXX are two pillows with matching dark blue pillow covers which have been designated SCP-XXXX-1 and SCP-XXXX-2. SCP-XXXX-1 and SCP-XXXX-2 can be differentiated due to an irregular stain roughly the size and shape of a human head located on SCP-XXXX-2. This stains is present on not only the pillow cover but also the pillow itself. SCP-XXXX was recovered from a hotel in ███████ where reports of a haunting attracted the attention of Agent N████. Initial onsite testing with E class personnel confirmed the anomalous nature of the objects which were removed to Site 17 for further testing with D class personnel. 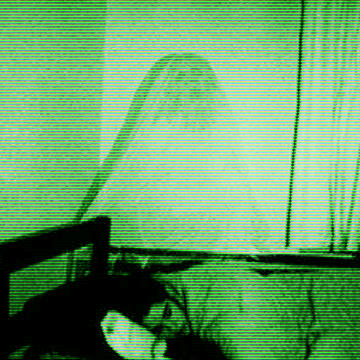 Testing indicates that individuals who sleep on SCP-XXXX may experience extreme nightmares and night terrors for periods extending up to two weeks after. Alternately test subjects have reported a dream state where the encounter a woman in a white dress. Following these dream states the subject always describes their rest as "inadequate" or feeling as though they had not actually slept. Testing did not validate the initial reports of ghosts or hauntings linked to the objects. SCP-XXXX classified as safe and remanded to Site 17 storage following initial testing. Addendum: The reported manifestations of an unauthorized figure dressed in white in the storage areas have been confirmed. Surveillance cameras have recorded the figure moving from the hallway through the locked door where SCP-XXXX is contained. The appearance of the female figures aligns with the initial reports provided by Agent N████ as well as descriptions of SCP-XXXX-1 dream state episodes provided by test subjects . Further testing and reclassification to Euclid class recommended. Figure has been designated SCP-XXXX-3.